Welcome to our website launched on November 2nd 2012. 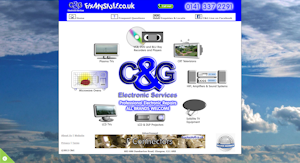 Our latest website is designed to cater for all our customers needs. The site features plugins for Skype and Facebook. The site is available in two versions depending on screen size. For tablets and smartphones there is the mobile edition. For traditional desktop and notebook PCs there is the desktop edition. Both editions of the website feature stunning photography by Mike Hawkwind, full details of the photos are below. 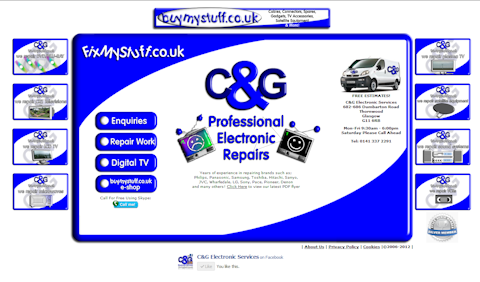 The C&G Website is ©2012-2017 C&G Electronic Services. All photography featured on the site is ©Mike Hawkwind. Can't see the full image? - Our website backgrounds are designed to suit small screens as well as large high resolution screens. If you screen is less than 1920x1080, use your browser zoom function to zoom out and see the full photograph. On the PC, press and hold CTRL and roll your mouse scroll wheel. You can alternatively press the zoom button from within your browser - be sure to return to 100%.